Ecuador spied on WikiLeaks founder Julian Assange at its London embassy where he has been living since 2012, initially to support him but things changed after he hacked the mission's computers, the Guardian reported Wednesday. The newspaper said Ecuador employed an international security company and undercover agents to monitor his visitors, embassy staff and even the British police at the embassy in London's luxury Knightsbridge area. It estimated the budget spent on the operation, referred to initially as "Operation Guest" and later "Operation Hotel" at $5.0 million (4.2 million euros). The snooping was initially intended to protect Assange from the risk of being taken away by British police but later became a full-blown spying operation. The operation had the support of then Ecuadoran president Rafael Correa, the paper reported, adding that it has since been wound down under the country's new leader Lenin Moreno who took power last year. The security team recorded Assange's daily activities and his interactions with embassy staff and visitors, including fellow hackers, activists and lawyers. They stayed in a rented flat near the embassy at a cost of £2,800 a month, the paper said. 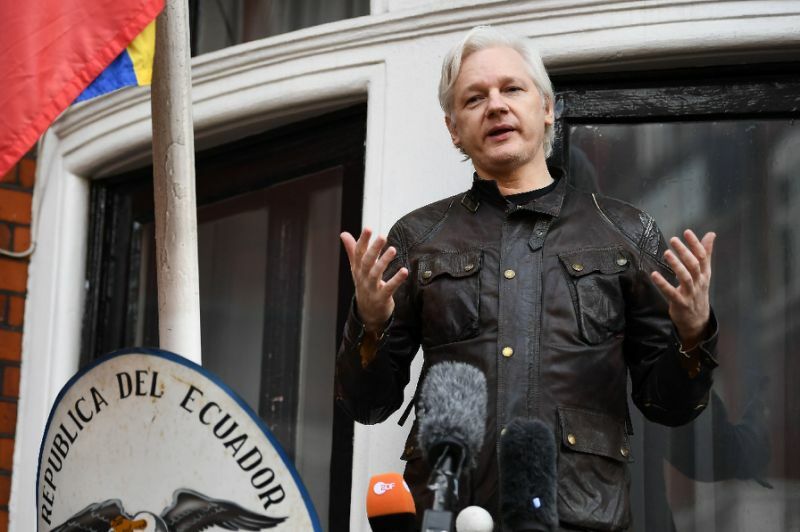 The paper also cited documents showing that Assange hacked the communications system within the embassy and had his own satellite internet access. "By penetrating the embassy's firewall, Assange was able to access and intercept the official and personal communications of staff," the paper said. WikiLeaks denied Assange had hacked the network. Ecuador has moved to shut off internet access for Assange in recent months by installing a jammer to prevent him from accessing email and has restricted the number of visitors he can receive. Assange took refuge in the diplomatic mission in 2012 after a British judge ruled he should be extradited to Sweden to face allegations of sexual assault there. Assange claims the accusations were politically motivated and could lead to him being extradited to the United States to face imprisonment over WikiLeaks' publication of secret US military documents and diplomatic cables in 2010. Ecuador in December made Assange an Ecuadoran citizen and unsuccessfully tried to register him as a diplomat with immunity as part of its efforts to have him leave the embassy without risk of being detained.